The vascular endothelium plays a crucial role in vessel homeostasis and is implicated in the pathogenesis of cardiovascular disease. The function and life span of endothelial cells, therefore, have a large impact upon the quality and expectancy of an individual’s life. Exposure to haemodynamic forces determines the phenotype of endothelial cells. Turbulent blood flow, disturbed shear stress and a rising tension of the vessel wall result in endothelial dysfunction and an enhanced endothelial cell turnover. In this scenario, the role of endothelial mechanics is yet poorly described. The streaming blood exerts shear forces transmitted to the soft cortical actin mesh immediately underneath the plasma membrane. The mechanical properties of this actin cortex seem to be an important regulator of endothelial function. Aldosterone and high plasma sodium stiffen the endothelial cell cortex which is accompanied by a decrease in NO release. If endothelial stiffening is only transient, it may be a useful mechanism to compensate for any decrease in arterial blood pressure. 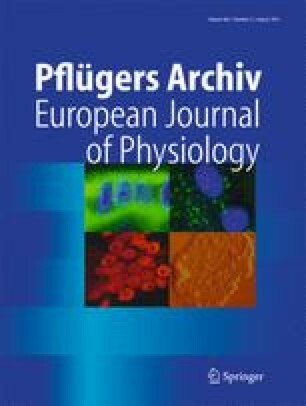 Long-term stiffening of the cell, however, may lead to endothelial dysfunction and may contribute to cardiovascular disorders, as observed in disturbed aldosterone/sodium homeostasis. In this case, the mineralocorticoid receptor antagonist spironolactone maintains the endothelial cell cortex soft and thereby preserves normal endothelial function and longevity. This may explain the recently observed beneficial effects of spironolactone on the cardiovascular system. Taken together, the review highlights the importance of elasticity for normal endothelial function. We thank Prof. Hugh E. de Wardener, Imperial College, London, for critically reading the manuscript. This work was supported by the Deutsche Forschungsgemeinschaft (OB63/17-1, Koselleck OB 63/18).